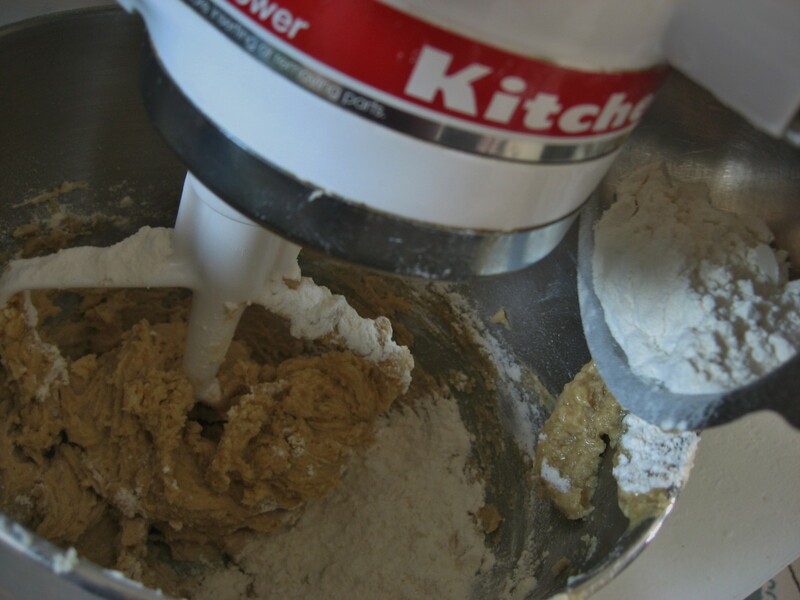 Your typical cookie batter contains the basic ingredients of butter, sugar, eggs, flour, flavorings and garnishings. Some recipes may opt for margerine, a different type of sugar, a different type of flour, one or two flavorings and garnishings, By garnishings, I mean nuts, chocolates, dried fruits, and so on. It is best to limit your garnishings into one or two flavors so your product could be appreciated better. 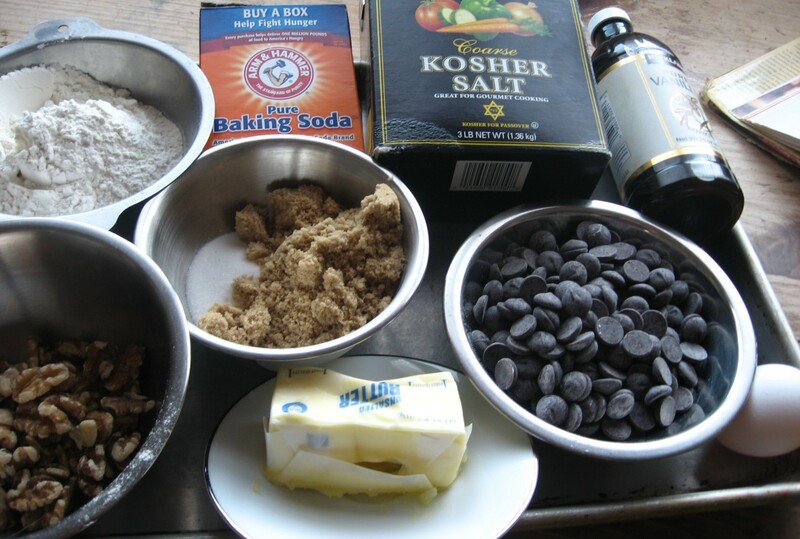 A potpourri of ingredients in a cookie can be daunting to the taste buds. Butter - Use unsalted butter at all times. 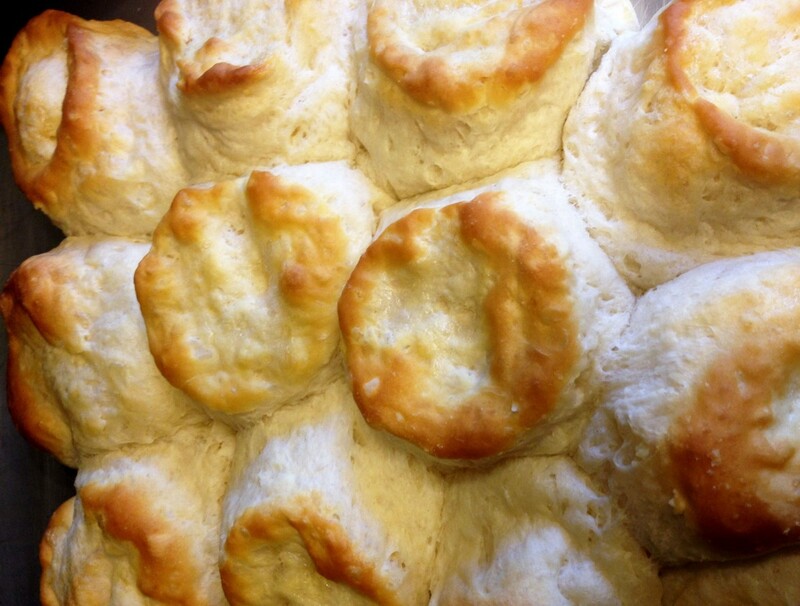 Butter is fat that helps flavor and bind the batter. Add kosher salt or iodized salt for balance. Sugar - Granulated sugar or brown sugar or a combination of this as called for in the recipe is at your discretion. What is important is make sure your sugar is dissolved. If the sugar is lumpy, put in the mixer to break the lumps first before adding the butter and the rest of the ingredients. 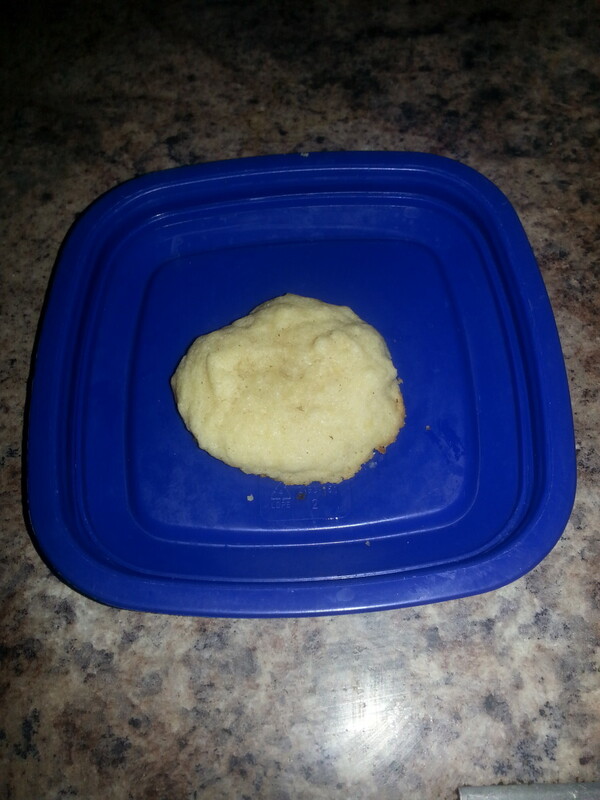 A perfect finished cookie does not echo sugar granules. Eggs - Whatever type of eggs you prefer will work. Egg is a binder as well as flavor and add body to your batter. Flour - Most cookie recipes call for All Purpose Flour that has less gluten than bread flour which makes bread more heavy and chewy. Pastry flour is too light and flaky. A combination of flours may work as called for in the recipe. 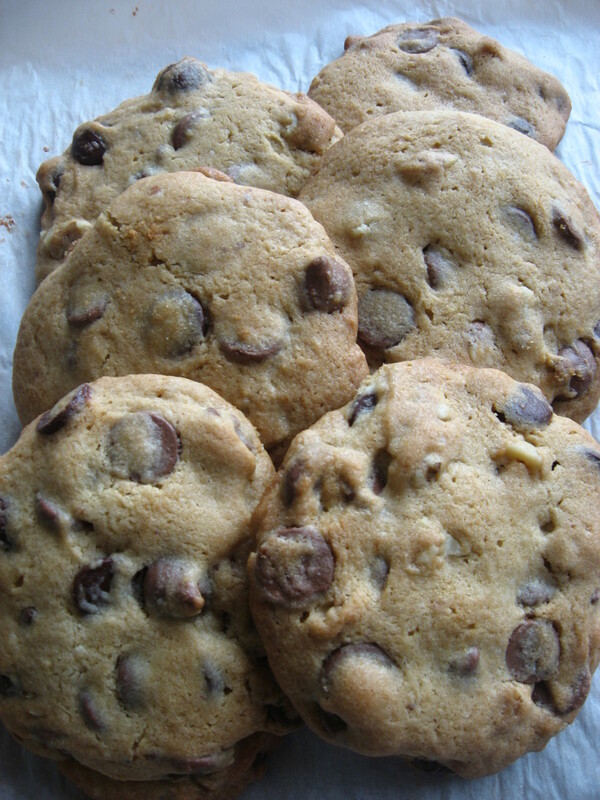 Cookies has to have a combination of crunchiness, chewiness and moist. Flavorings - Vanilla extract a classical and traditional favorite could be replaced or combined with other fruit extracts. Extracts are potent and concentrated and are measured by the teaspoons. Some of the extracts in the market are imitation or has more alcohol content. Read and select your items carefully. Garnishings - There are dozens to choose from to create cookies of varieties. Use shelled chopped nuts, dried chopped fruits, seeds, chocolate pieces and so on. The plethora of selection is endless. It is your creative enthusiasm that will be measured. Always remember to check your ingredients for freshness and contamination. If your nuts are rancid, you would have wasted your entire cookie batch using bad nuts. Be wary of cracked bits of shells on nuts or stems on dried fruits before adding to your batter. You do not want someone breaking their tooth over these. NOTE TO THE NUTS: Oops...you know what I am referring to! To prolong the life of the nuts or to keep them nuts from going rancid, make sure that the container is dry and sealed with a lid or zipped tightly. If you are not using these nuts in the next two weeks, refrigerate or freeze. Thaw frozen nuts before adding to baking ingredients. 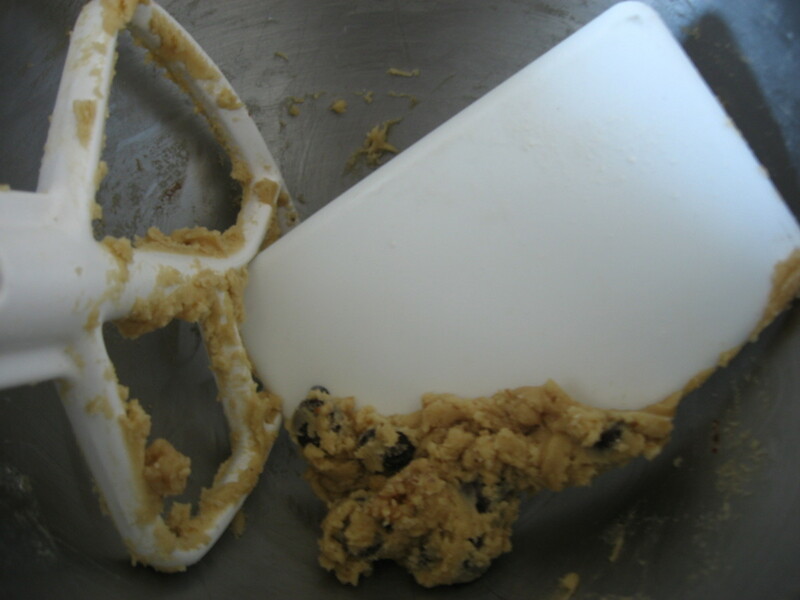 Remember that a typical cookie batter uses a paddle or flat beater for mixing. Most home bakers make a mistake of beating the cookie batter to death and the resulting cookie is a very flat cookie. 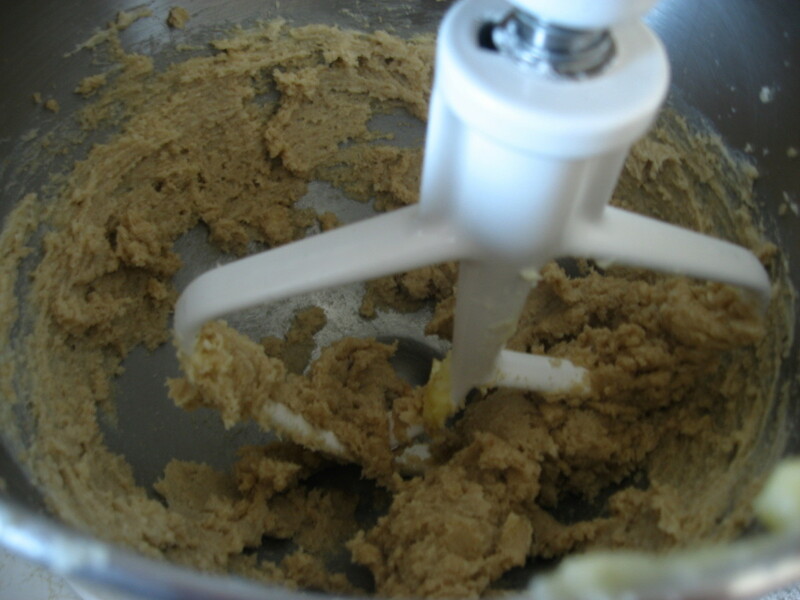 The first step in preparing a cookie batter is to make sure your butter is soft, not melted and not solid. Use the microwave oven to soften the butter. Watch it carefully. It only takes about 30 seconds to soften a 4 ounce solid butter. If you know that you are making cookies the next day, pull out the butter that you will need and leave at room temperature. 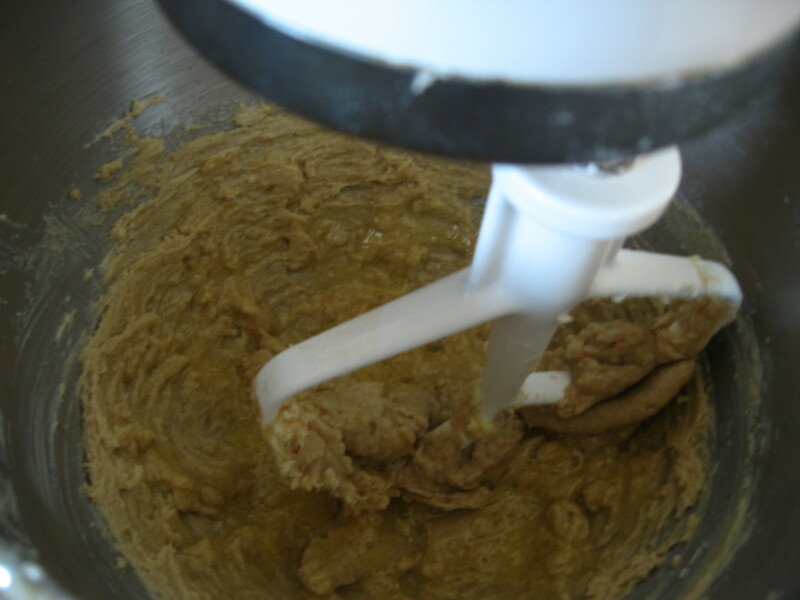 Creaming - The first step in making the cookie batter is mixing the butter. If you have a soft butter, beat the butter for one minute then add the sugar. If you are using brown sugar and the brown sugar has hardened, you can use a food processor to break the lumps. Do not put hardened sugar with your mixture because it will not break evenly. 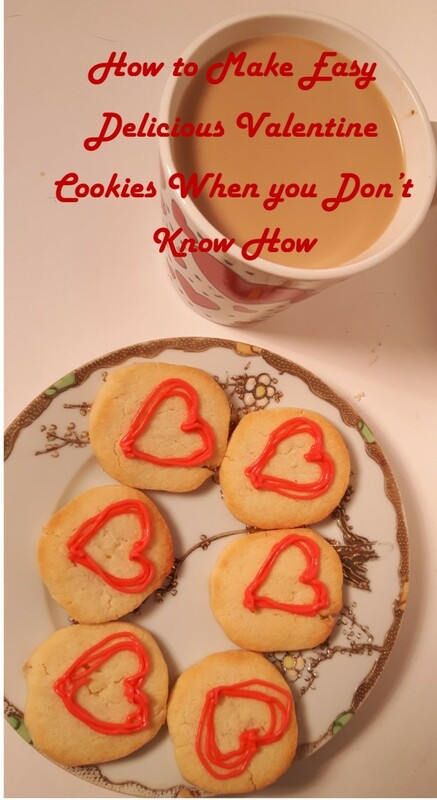 Have you noticed cookies that has that rough texture or granulated feel to it? It is because the sugar(s) have not been dissolved properly. So, the creaming (beating butter and sugar together) is an important first step to making your cookie a success. Adding the Fat Binder and Liquid - Always crack your eggs in a separate bowl and not on the mixer to avoid loose bits of shells in your cookie dough. Combine your liquids, e.i., egg and vanilla, and stir to mix. Adding the Flour - Combine the flour with the salt and baking soda and stir to incorporate. Always remember that whenever using chocolate in baking, baking soda is added to act as neutralizer to the acid in the chocolate. Add the flour gradually and stir every stage so the flour would be distributed evenly. Scrape, scrape is our motto in volume bakery productions. Nobody wants to waste a 50 pound of cookie dough just because of the flour imbalance. Adding the Garnishings - With your mise en place (everything in its place) ahead of time, your nuts have been lightly toasted perhaps, and chopped coarsely, and everything else have been measured. After adding at once, stir to incorporate and scrape. Use your hands to blend to avoid stiffening the dough. 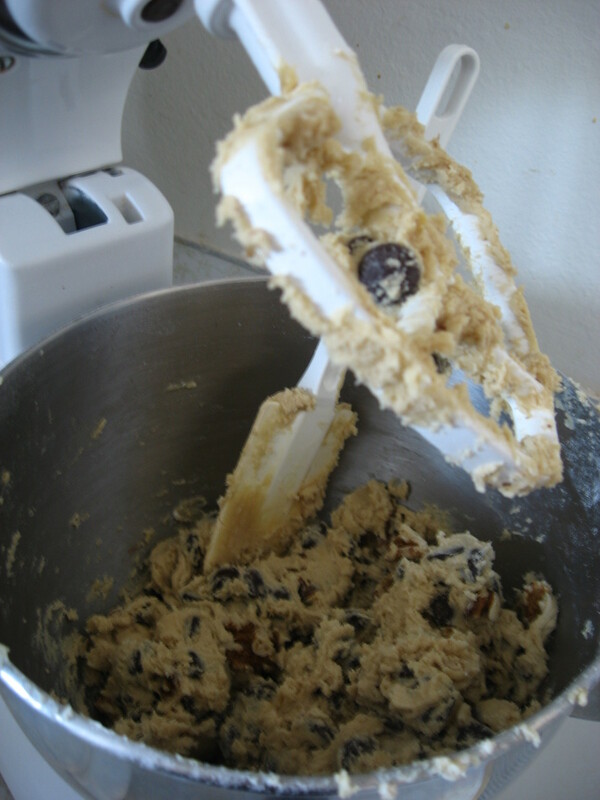 Portioning the Cookie Dough - Never use your hands to ball up your cookie dough. It is bad on the dough and it is amateurish. Use an ice cream dough. You will have even-size cookies. Preheat your oven to 350 degrees. Some recipes will tell you to bake your cookies at 375 degrees. You can if you want to, but the cookies cook too fast and burn fast. At 350 degrees, there is an even-ness to it, unless you get absent-minded and forget about what your baking. You can double sheet your pans to protect the bottom from browning faster. ALWAYS....always place your sheetpan in the middle rack for even baking. The recipe below will take 10 minutes to bake. Use a stainless cookie sheet and a parchment paper. Space out your cookies. Cookies do spread a little so you want to give them space. If cookies spread more than they should, that means you have paddled the cookie dough to death and put so much air into it that you are now seeing a very flat disaster. Remember to rotate the sheetpan in the oven. Ovens tend to have hot spots. The back maybe hotter than the front, so give them equal time. 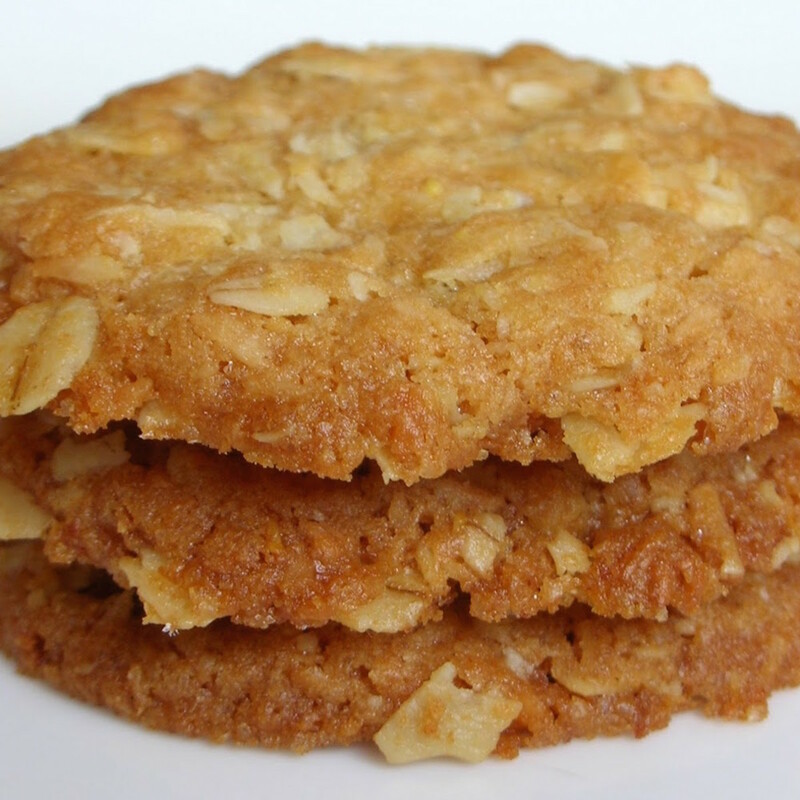 A perfect baking cookie shows light golden brown around the edges. Remove the sheetpan from the oven. As long as the color shows light golden brown around the edges, your cookies can stay on the sheetpan. However, if the cookies are darker than this, remove the sheetpan from the oven and remove the baked cookies from the sheetpan. To do this, put the sheetpan on a room temperature surface (wood table), pull the two corners of the parchment paper onto the surface to stop the cooking process. As long as the cookies stay on a hot pan, the cooking continues. If you want to have moist cookies, remove the baked cookies from the sheetpan onto a table. Pre-scoop the extra cookie dough, lay each scooped cookie on a sheetpan and put in the refrigerator to chill. It will set in 2 hours. Once set, put each scooped cookie in ziploc bag and freeze. Label your bag. This can stay for a couple of months in the freezer. When you are craving for a fresh homemade cookie, just thaw and bake. KitchenAid Mixer - Makes the job easier and faster. 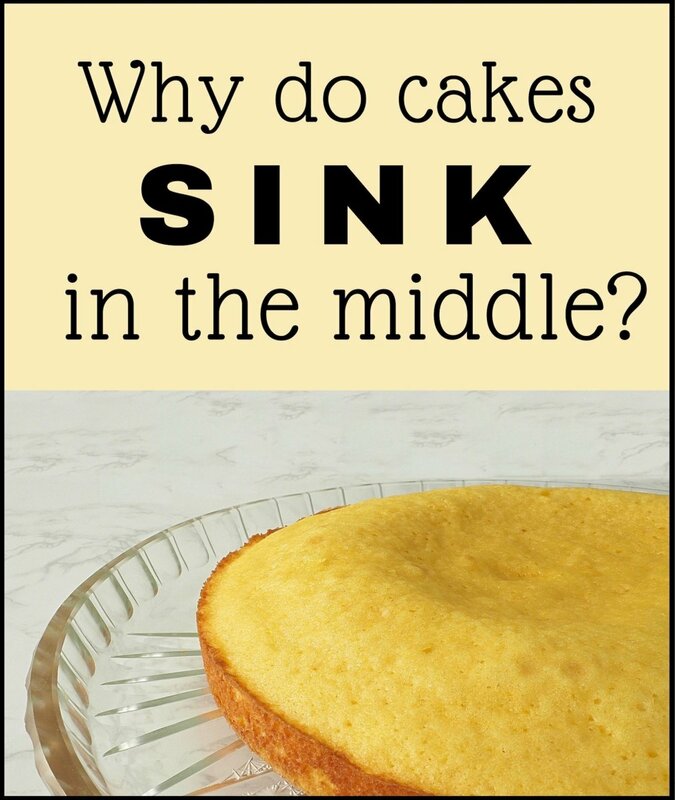 However, if you paddle your batter more than enough, don't blame it on the mixer. Pastry Scraper or Spatula - Use this to SCRAPE your batter every stage and after adding an ingredient. After creaming the sugar and butter, SCRAPE. 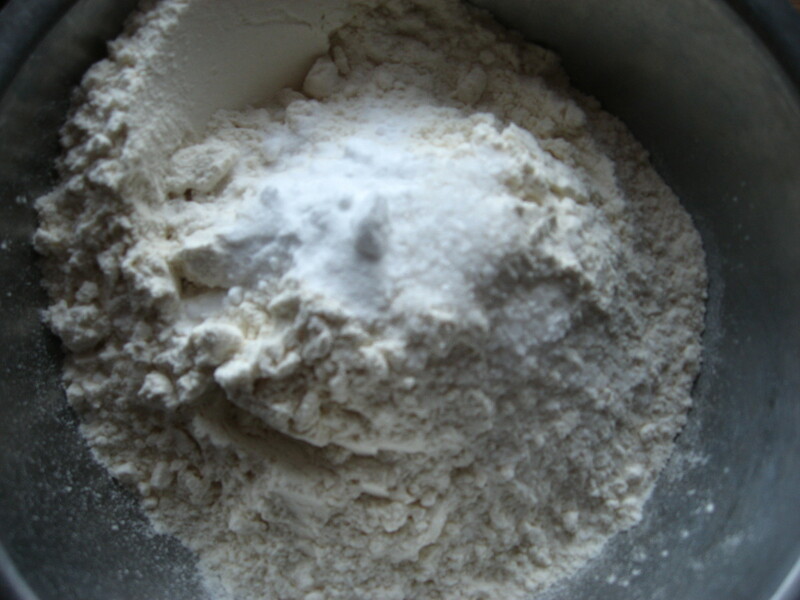 After adding the gradually adding the flour and mixing, SCRAPE. This process ensures a well-blended and incorporated batter. It is a good practice to start with before you embark on a large-scale baking like working for a large volume production bakery. Ice Cream Scoops - They come in different sizes of your choice. 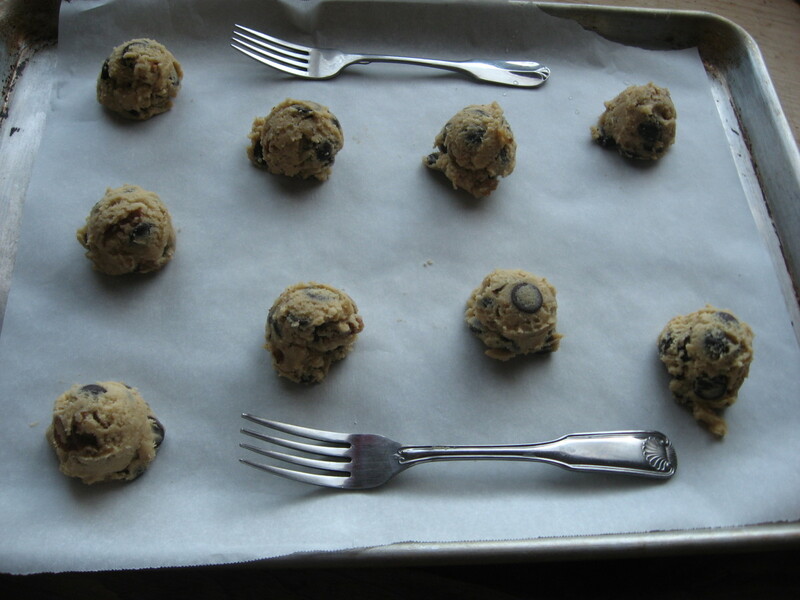 Using ice cream scoops prevents you from murdering the cookie dough and it helps when your cookie are the same sizes. Be aware to bake same size cookies on the same sheetpan as is baking the same type of cookie on the same sheetpan. Sheetpan - Those commercial half sheetpans are indispensable and versatile. Invest in some. I bought mine from Sam's Club. Large sheetpans are usually bought in commercial kitchen equipment stores or get them online. Remember to break the sugars finely if lumpy. 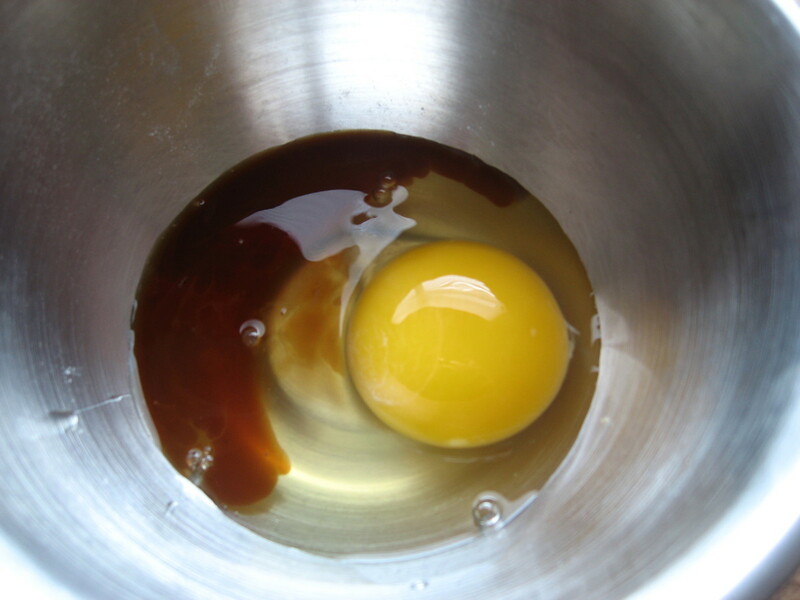 Break the egg into a separate bowl to avoid shells getting into mixer. Combine egg and vanilla together and pour into creamed mixture. Stir and scrape. Combine flour, salt and baking soda. Stir with a whisk. Add to mixture gradually. Scrape after each addition. B.S. neutralizes the acid in the chocolate, give some rise and crispiness to the dough. Add the chocolate chips and the nuts and stir to incorporate. Do not over beat. Use your hands to stir if need be. Scrape. Optional: Lightly toast nuts if you want. 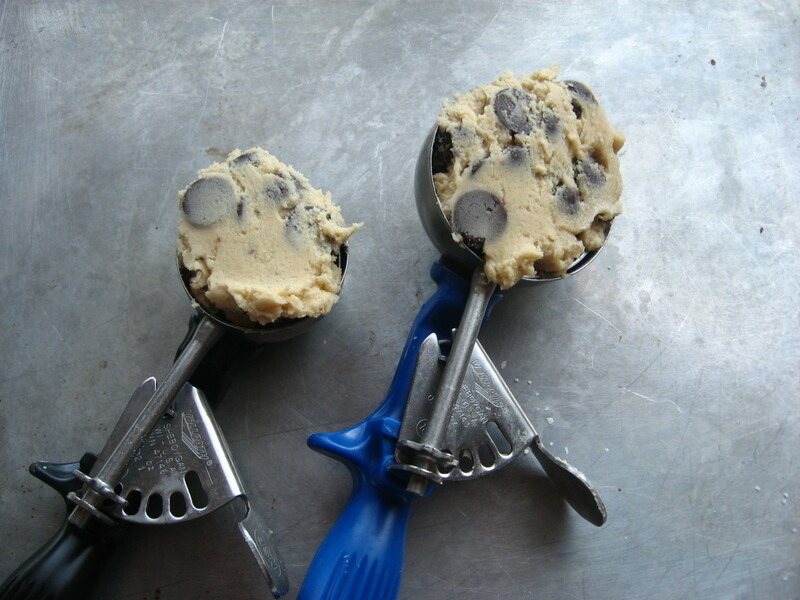 Portion cookie dough by using ice cream scoop. Space the cookies evenly. Press each cookie slightly with your open palm. Bake on parchment paper-lined sheetpan. Bake cookies till edges are golden brown. 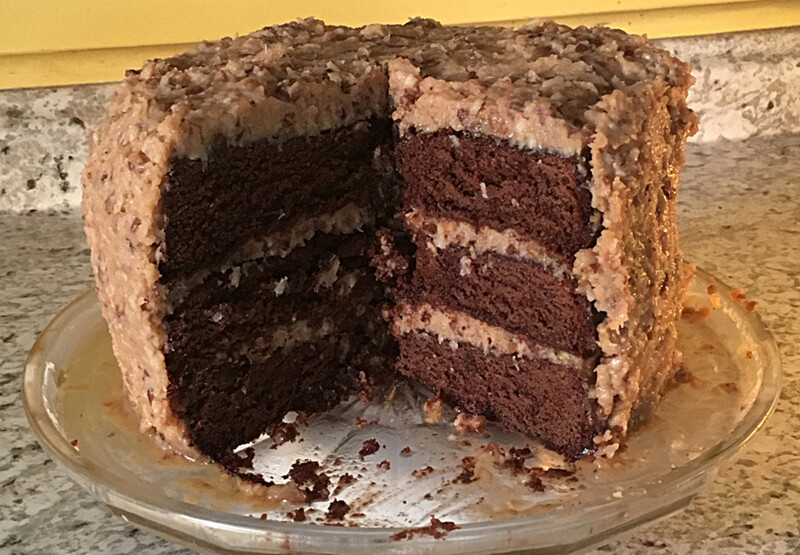 What changes would I need to make to the cookie recipe in this article for high altitude - 6 to 8,500 ft? My pleasure to share. Have a treat, it's worth the wait. Daisy, this is such an awesome hub! Voted up, useful and awesome, too. I have always wanted to make really, really good chocolate chip cookies from scratch but mine have been mediocre, at best. I am taking this hub and am going to follow it bit by bit. I'm also sharing this hub with my blog readers on Facebook. They'll love it! Thank you for the compliments and congratulations I received to each and everyone of you. I'll get back to the rest a few at a time since I realized that the more I follow in one day, the more my hubscore dips. Thank you for the follow Daisy! My father used to say, "I'd rather die happy." So, he indulged himself to eternal happiness. Thank you. I can't believe that one of my hubs made it. Thank you and have a good baking day! I'm a cookie lover, will follow the steps to make some cookie next time. Thanks for the great sharing, voted up! And yes, congrats on your award for Hub of the Day. Enjoy and happy to imagine you satiating that sweet craving for...a freshly-baked cookie. Great accomplishment to be awarded the Hub of the Day Award with all this great competition on Hubpages. Many Congrats. I am the ultimate COOKIEMONSTER, I mean really. Now, I am hungry for cookie....gotta go. Congrats on your Hub of the Day award for this super guideline on making perfect cookies! Delicious hub, Daisy, and your photos do you justice. About the mixing, my mom always said not to mix a batter to death, especially cake, because the end product comes out chewy and flat, whereas you want it crunchy if a cookie, and soft and risen if a cake. The secret is to take short strokes from the side of the bowl to the center, and rotate the bowl. Must try that yummy choc-chip soon. congratulations on hub of the day. Cookies look fantastic. I will definitely try out your suggested techniques. Great hub! I love making chocolate chip cookies, but they never turn out looking that good! Awsome hub. No wonder it's the hub of the day. I love cooking and baking, but what I love better is eating afterwards. 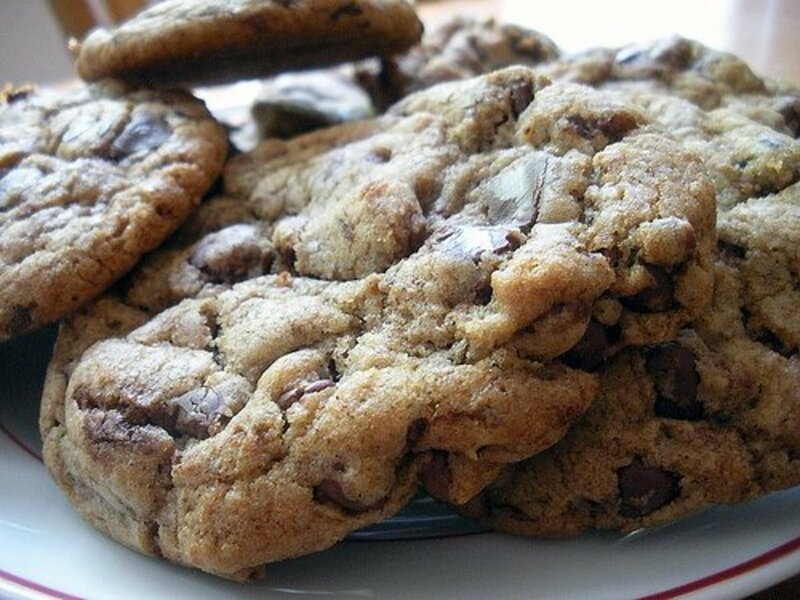 Lots of chocolate chips in your cookie pix...yum! And yes, I think I beat my batter to death. But I love 'em flat or no...think I'll have to follow your instructions next time I bake. Thanks for tips! Thanks. Whadyaknow, it took a while to get one of my hubs selected as HOTD and I'm ecstatic. I liked the term that a perfect chocolate chip cookie does not "echo sugar granules". Well said! I love chocolate chip cookies with pecans! Congrats on Hub of the Day! Looks yummy, I like freshly made soft cookies. Will have a go, thanks for sharing this great recipe. Congrats on hub of the day! Now I must bake some cookies! I have committed to baking cookies for churchs' events. This will really help to bake it from scratch. No more Doughboy :( Thanks for sharing! Voted useful. and congrats on your HOTD award! Thanks for this! My sister will love it! Now I am dying for homemade chocolate chip cookies. The photos are great and I'll try your recipe for sure! It's my sincere pleasure to share. I appreciate your compliments. I am not a baker, but my mom could use this information. This information is really useful. I will certainly start incorporating some of these ideas to make my decadent chocolate chip cookies even more so. now you are going to send me to the kitchen to bake! Thanks. Congratulations on your Hub of the Day. I love making chocolate chip cookies and I learned a lot of great tips from this Hub - like double-sheeting and rotating the sheet in the oven for even baking. I can't wait to see better results next time I bake cookies. Thanks. Silpat is not needed to bake these cookies. However, silpat is best used when you are baking more fragile cookies like lacey-type cookies. Good HOTD topic as there seem to be many cookie aficionados who will appreciate these tips. We purchase our nuts in large containers at places like Costco and always keep them frozen except for smaller amounts that will get eaten or utilized in baking in a short period of time. Your cookie recipe looks like a winner! Voted up and useful. Great tips. Thanks for sharing it. Voted up! Congratulations on HOTD! Awesome Hub! My cookies never came out good so thanks for these tips. Very useful and informative.Voted up. Congratulations on Hub of the day award! A million thanks. Pheww, didn't expect any of my hubs will even be considered. I'm thankful for your appreciation. Thanks very much. I am sooo overwhelmed with thrill by being chosen Hub of the Day! Thanks for stopping by and welcome to HP. Unsalted butter is preferred in professional kitchens because you could control the salt portion, as opposed to salted butter. I love making cookies. 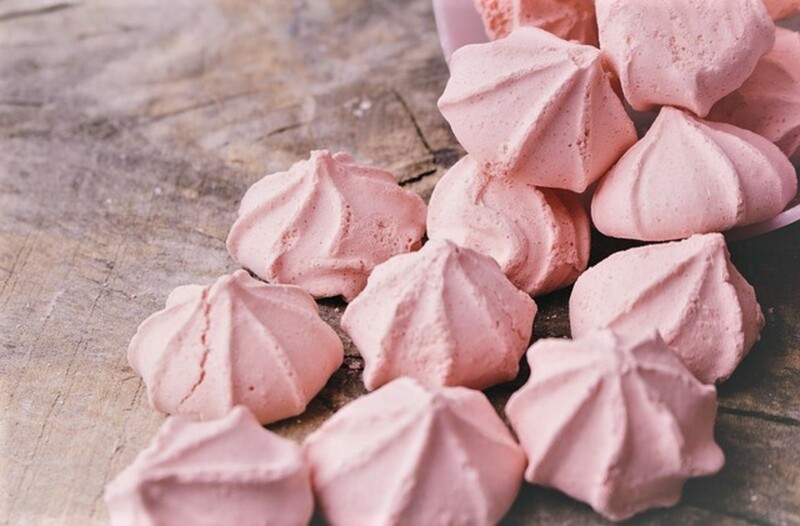 Have you ever tried using a silpat to bake them on? Congrats on getting Hub of the Day! This is an awesome resource for a wide range of bakers. Thanks for all of the great tips and photos. I love how you broke down all the information. Making the perfect cookie is an art, I think! I always leave mine in the oven too long. I noticed you say to use unsalted butter. None of my recipes indicate unsalted butter. I've always used salted butter. Congrats on HOTD! Well deserved. I voted it UP, etc. Totally awesome tips and photos! And congrats on hub of the day - that's awesome. Voted up and useful. Doubling, tripling, etc. will take the same amount of prep and baking as it is to do a small batch. You could always freeze scooped cookie batter and thaw to bake when you are ready. Just like any math, do X2, X3, etc. It's always an honor when you grace a hub and compliment on it. Thanks. thank you so much for the great tips in this Hub! The cookies look delicious! Voted up and shared! Oh yum. Your cookies look delicious! This is such an informative hub. I learned a lot from it, and look forward to baking the perfect chocolate chip cookie! Congratulations on being selected as Hub of the Day. O my...I want to reach right in and take one of your cookies. They look like they are yummy. Thank you for all of your secrets...and the pictues are very helpful. Congrats on hub of the day. This is making me hungry! These are wonderful tips for making light, chewy cookies - this might not be good for my waistline, though, because now I want to bake up a few dozen! Thanks for teaching us how to make cookies and for all the helpful tips. Congratulations on Hub of the Day! This is a fantastic hub! Your cookies are beautiful! I especially liked how you discussed the ingredients and what they did in the recipe. 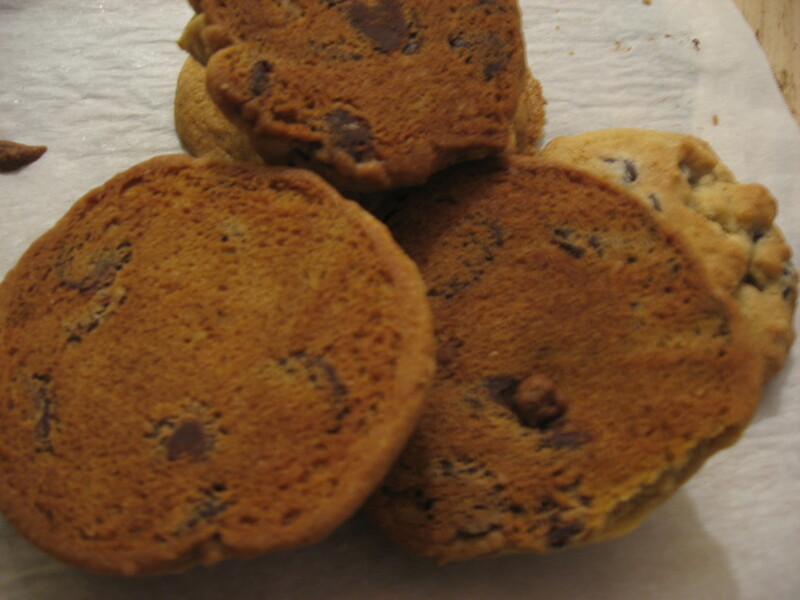 Sometimes when I have baked chocolate chips cookies, I will have a few with "thin" areas in the cookies. From reading your hub, I think it may be from over-mixing. Thanks so much for these very helpful tips! Congrats on Hub of the Day! Voted up! Wonderful hub and those cookies look so delicious! I have to try this recipe. Thanks for sharing these great tips. I'll have to try your tips. I've been having trouble with cookies not coming out like they used to when I was younger. They seem to spread out and melt down like a "lace" cookie, instead of staying rounded up, and nice and soft and chewy. I don't know what's different...the recipe on the chocolate chip package change, or what? Very odd. This never used to happen, and I NEVER have had ingredients at room temp, or used unsalted butter..I'm not that much of a baker--I don't buy 'special' ingredients that aren't going to get used up in the normal course of other food prep. So, if my procedures haven't changed, I figure the recipe must have. Voted up, awesome, interesting, useful and shared. Ooooh! You make chocolate chip cookies JUST as I like them! Thanks for the splendid tips. I need to get some chocolate chips STAT!!! Pleasure to share and thanks for stopping by. Right on. My intention is to aid home bakers on how to improve their techiques. Thanks for the visit. Great! I'm not a cookie person, but my roommate and neighbors had a field day with this cookie. Good additional helpful tip for home bakers. Thanks for sharing this tip. You know what, this brought back a childhood memory for me... when I was a kid, my dad and I would take the tubes of tollhouse choc. chip cookie dough, and squeeze them onto a big plate, and microwave them, then eat... SO GOOD.. better than oven baked as far as I remember them... unless that's just cause I was an impatient, and hungry child! lol, going to deffinately try this again soon!! nice tips! Also especially like the one about softening brown sugar, I've wasted a lot of hard brown sugar, and now I feel bad that I might have been able to save it! You highlighted some helpful tips that I think many folks forget and those steps are very important to the final results: mixing and scraping. Great information, just thinking about making some cookies so it has come at the right time. Bookmarked for future. In an article about unusual ways to use your microwave, softening brown sugar is one of them. If your brown sugar has hardened, place in your microwave for 30 seconds. Wait until it has cooled before using in your recipe.